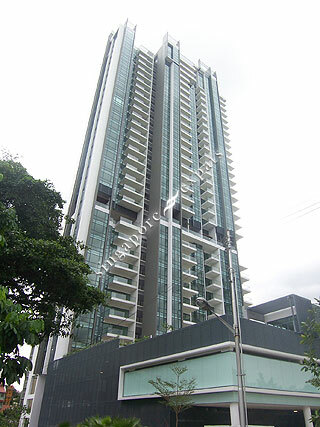 Montebleu is a freehold 34-storey condominium located at Minbu Road near Balestier Road. Clad in cool grey and white curtain wall of aluminium and glass interspersed with balconies of frameless glass parapets, Montebleu spells post-modern elegance. With its balconies, bay windows, dry and wet kitchens, designer wardrobes, ensuite baths and quality sanitary ware, Montebleu is the epitome of luxury living. An attractively designed and spacious recreation deck on the fifth level further enhances Montebleu's resort style ambience. Facilities on the fifth level include a garden terrace, swimming pool, Jacuzzi corner, children's wading pool, gymnasium, steam room, function hall, barbeque area and children's playground. Wide array of conveniences are yours to enjoy at Montebleu, with the Novena MRT Station, United Square and Novena Square shopping malls within short walking distance. Montebleu is a mere stone’s throw away from amenities and everything that matters. With Montebleu situated so near to Orchard Road, endless variety of retail therapy, culinary temptations and entertainment are all available mere minutes away. Reputable schools like the Anglo Chinese School, Singapore Chinese Girls’ School and St. Joseph Institution Junior are within close vicinity of Montebleu. Montebleu is accessible via the nearby Central Expressway (CTE) and Pan Island Expressway (PIE) which leads to all parts of Singapore. Travelling to the city by public transport is also fast and convenient. Excellent location, easy access to to city and great local eating places just walking distance away.